Things will be a lot different after the reality-bending events of Marvel Comics’ Secret Wars crossover wrap up. 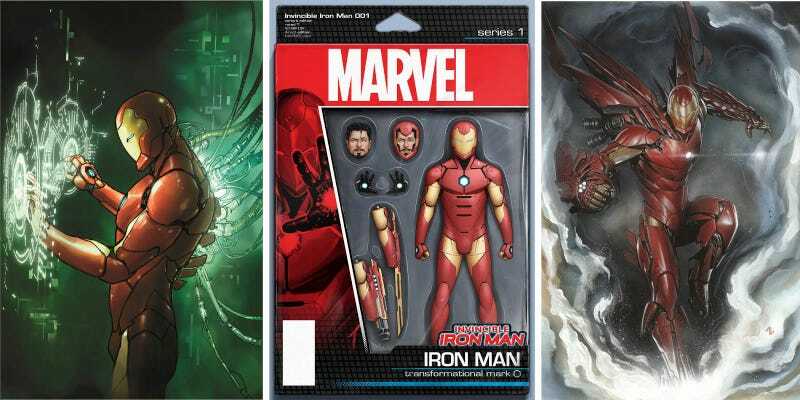 Tony Stark’s still going to be Iron Man, though, and he’ll be wearing an all-new suit of super-armor. It sounds like it can do... anything? The next series featuring the armored Avenger comes out this fall from the creative team of Brian Michael Bendis, David Marquez and others. In the three-page preview below, you can see Tony working on his new suit, which appears to be taking the concept of modular design to a whole new level. Due out October 7, Invincible Iron Man #1 will be picking up on the previous series’ plotline that revealed the people who Tony Stark thought were his parents were not his biological mother and father. What do you guys think of the new design?